Need an expert appliance technician to take care of current problems? Count on the fast assistance of our team. We offer fast services in Newark and cover all residential needs. From troubleshooting a dishwasher problem to fixing the fridge and replacing some damaged dryer parts, our technicians can help you will all appliance needs. You can turn to our Appliance Repair in Newark, NJ, for casual repairs, emergency fixes, replacement and installation services, and routine inspections. We offer full residential appliances service in Newark and are happy to help. Experienced in residential refrigerators, washers, ovens and any other appliance people in New Jersey keep in their homes, we offer professional home appliance service. Customers in need of Newark appliances service can rest assured that our professionals are experienced and up to date technicians. We keep track of innovations, are equipped to properly fix residential appliances, respond as fast as possible, and provide emergency appliance assistance. You can also be sure that each appliance service technician of our team is reliable, skilled, and ready to answer questions and help you with urgent problems. Our Newark company covers your repair, installation, replacement and maintenance needs. We try to assist fast and offer appliance troubleshooting in a timely manner. 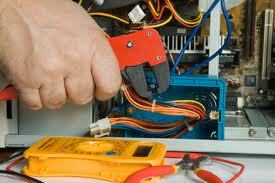 We can replace all parts of home appliances and repair all residential appliances. This way, you can have peace of mind that every single appliance problem at home can be fixed by one of our appliance service experts.